We argue that efforts to modernize the registration system has to focus on better meeting the needs of the individuals and entities that produce video content today, with an eye toward building a system that can adapt as video production and distribution continue to evolve. 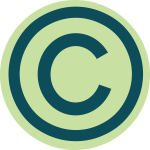 Part of this modernization process should include permitting group registration of published videos, fixing current issues that exist with the Electronic Copyright Office (eCO) registration system, and enhancing the ability of copyright holders and users to find and identify copyright owners using the Copyright Public Records Catalog. We want to thank Alexandra Inman (3L) and Brittany Hernandez (2L) from California Western School of Law, for their work helping research and draft these comments. Alexandra Inman had this to say about the project. "I really enjoyed working on the comment. It gave me the opportunity to do policy work and respond to very real problem by using the legal education I have been receiving at California Western. I felt that it was a honor to be given the opportunity as a fellow at New Media Rights and that the assignment really challenged me in a fun and exciting way. These comments are incredibly important because they help influence the system's that we, as lawyers and future lawyers, work within and it is important that those familiar with them in practice get the chance to make comments on their functionality and how they could be improved." Part I addresses key problems with the current prohibition on group registration of published videos and analogizes online video creation with currently acceptable works for published group registration. You can read our comments in the attachment below.